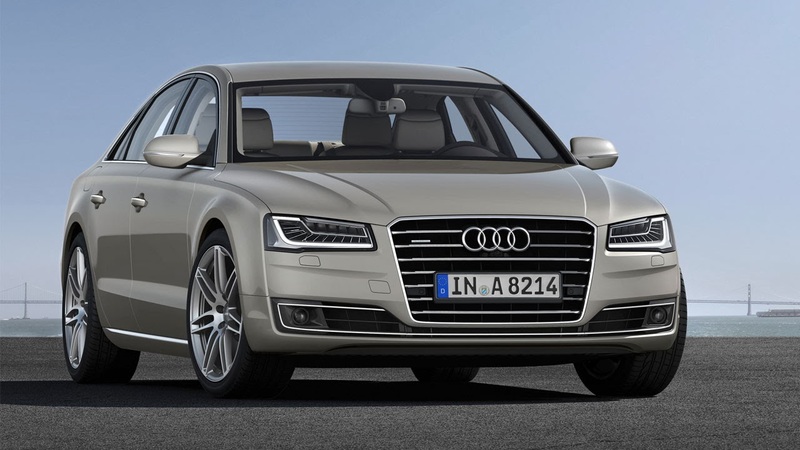 Built around the advanced, predominantly lightweight aluminium Audi Space Frame, the Audi A8 range has recently been further enhanced by subtle styling revisions, equipment upgrades and improvements to engines, all of which now meet tougher EU6 emissions limits applicable from 2014. Of particular interest to the gadget lovers at T3 will be the futuristic new MatrixBeam headlights and dynamic indicators which become standard equipment for some new generation A8 models. 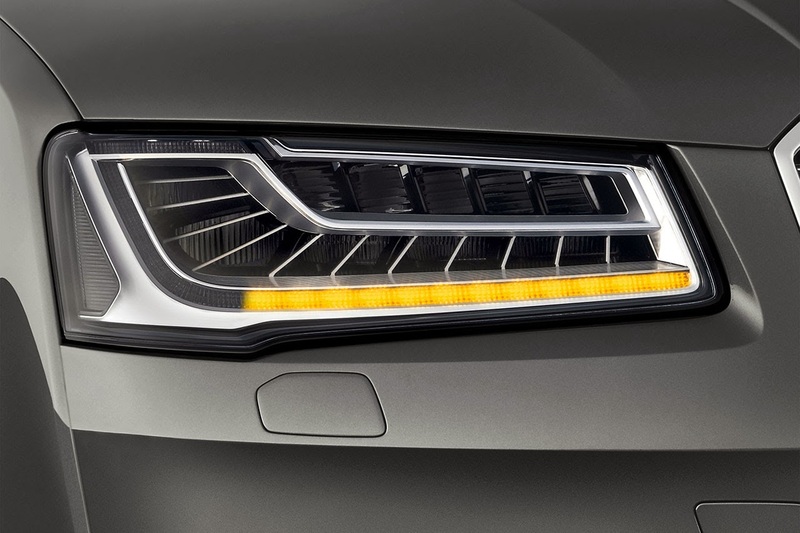 The 25 individual LEDs in each MatrixBeam headlamp unit can be switched on and off or dimmed individually depending on the situation, meaning that the on-board computer can mask specific sections of the high beam by dimming or deactivating individual diodes when it detects other vehicles travelling ahead in either direction. 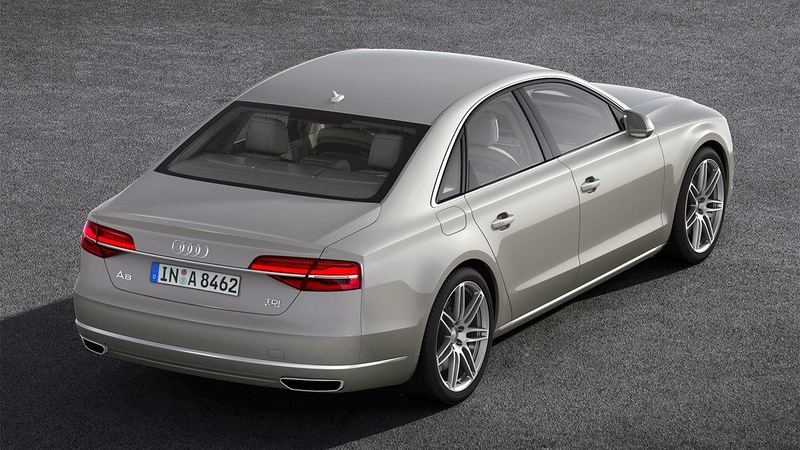 The lighting system in the A8 also uses predictive route data from the navigation system to adjust the distribution of light in response to the current driving situation, and can recognise and act on route data, such as corners and road classifications. The dynamic indicators comprise blocks of LEDs arranged in a strip which are sequentially illuminated at 20 millisecond intervals, from the inside outwards, in the desired turning direction. This ‘sweeping function’ makes it even clearer to surrounding road users that the A8 is about to turn. Cutting edge features are also very much in evidence in the engine bay of the new generation A8. 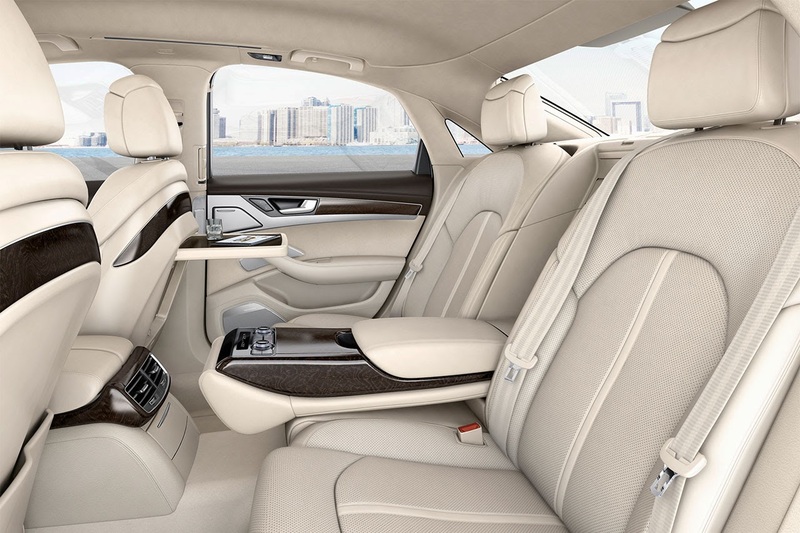 This can now be filled by a wide range of EU6 emissions-compliant units including the latest 435 PS twin-turbo 4.0-litre V8 TFSI or naturally aspirated 500 PS 6.3-litre W12 FSI engines, both now incorporating fuel-sparing Cylinder-on-Demand technology, or by a hybrid system combining a 2.0-litre four-cylinder TFSI engine with an electric motor.